BRAND NEW NOS 155/80/13 inch white wall (or blackwall) tire. These small tires are increasingly hard to find. This one appears to have never been mounted and has all of the nubbins on the sidewalls and tread! the sidewall is embossed with RT on one side and All Season on the other. There are no obvious sings of dry rot on the tread or sidewall initially but a few age cracks will appear if pressure is applied to the side wall, it has a production number of 899 (so likely manufactured late winter-spring 1999). 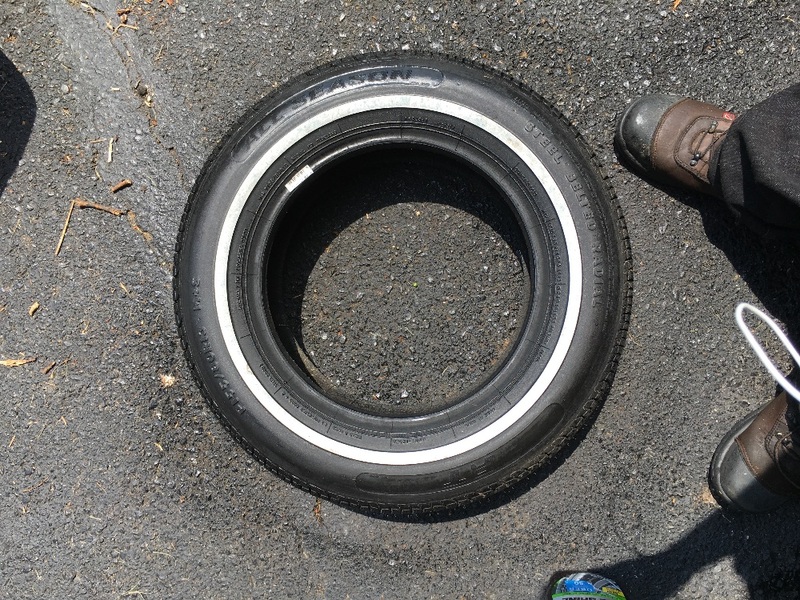 Please consider age of this tire before purchasing but is a good looking tire in a hard to find size. Tire is also marked “made in USA” and please feel free to contact me with any further questions. Delivery is available within 10 miles of 20817 and no warrantees are expressed or implied. 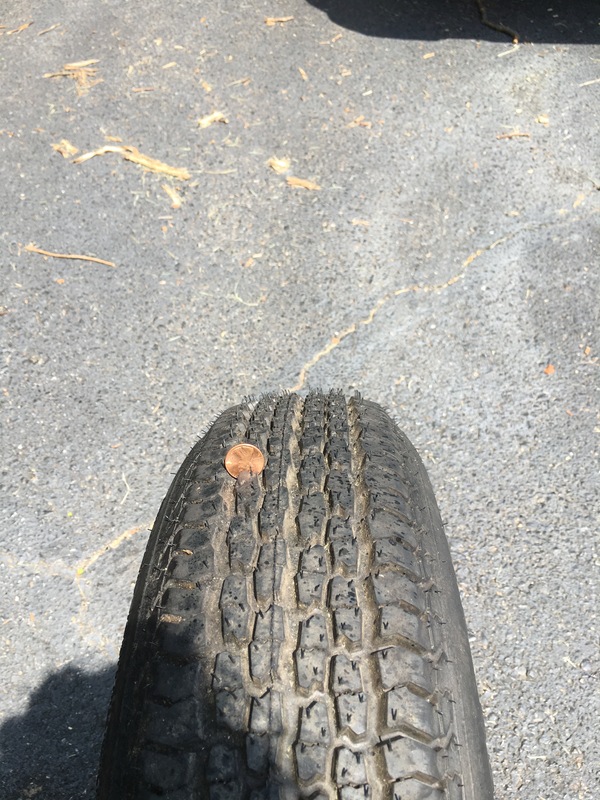 Buyer assumes full responsibility for inspecting the tire prior to purchase and mounting to ensure that it will work for their application and conforms to their safety standards.